Now you may be wondering how much faster the new DRAM is compared to the current DDR3. We can’t know for sure, until the production of actual units starts, but here are some initial figures for you. The speed of data transfers that DDR4 DRAM can achieve is 2.133Gbps (gigabits per second) at 1.2V, compared to the DDR3 DRAM, which can only pump out 1.6Gbps at either 1.35V or 1.5V. The modules make use of a new circuit architecture, which helps them make the jump from 1.6Gbps all the way up to 3.2Gbps. This is tremendous improvement compared to the usual speeds of 1.6Gbps and 800Mbps for DDR3 and DDR2 DRAM respectively. 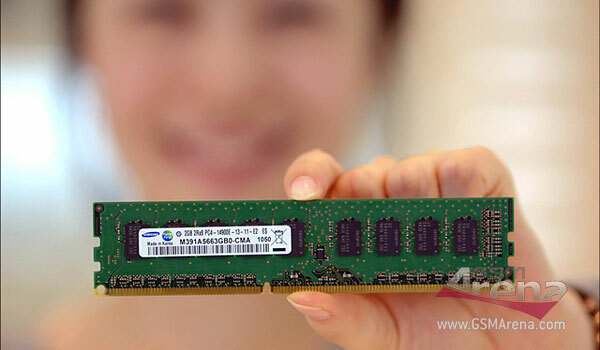 In addition, when used in notebooks, the new DDR4 DRAM is expected to be 40% more energy efficient than the commonly used 1.5V DDR3 modules.